Methods: The book first describes common techniques used for classification, including probabilistic methods, decision trees, rule-based methods, instance-based methods, support vector machine methods, and neural networks. Domains: The book then examines specific methods used for data domains such as multimedia, text, time-series, network, discrete sequence, and uncertain data. It also covers large data sets and data streams due to the recent importance of the big data paradigm. 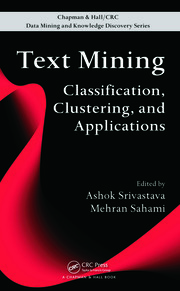 Variations: The book concludes with insight on variations of the classification process. 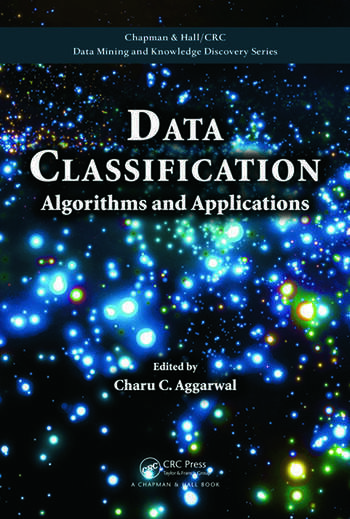 It discusses ensembles, rare-class learning, distance function learning, active learning, visual learning, transfer learning, and semi-supervised learning as well as evaluation aspects of classifiers. Charu C. Aggarwal is a research scientist at the IBM T.J. Watson Research Center. A fellow of the IEEE and the ACM, he is the author/editor of ten books, an associate editor of several journals, and the vice-president of the SIAM Activity Group on Data Mining. Dr. Aggarwal has published over 200 papers, has applied for or been granted over 80 patents, and has received numerous honors, including the IBM Outstanding Technical Achievement Award and EDBT 2014 Test of Time Award. His research interests include performance analysis, databases, and data mining. He earned a Ph.D. from the Massachusetts Institute of Technology.